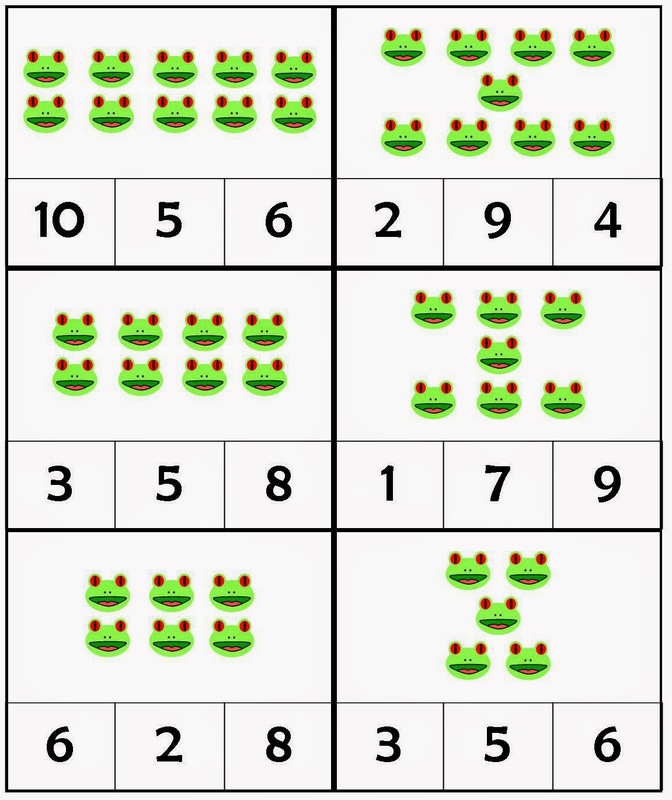 My just-turned-five-year-old son's number sense is really improving, but to help further his association of numbers and numerals, I used the frog graphic I created for our Numbers Froggy Hop to make some clip cards. This activity is perfect for a busy bag. Take it in the car, to a restaurant, hand it over while you're making dinner, or just trying to have a phone call with a friend (PUH-LEASE tell me I'm not the only parent that gets interrupted a zillion times while on the phone). 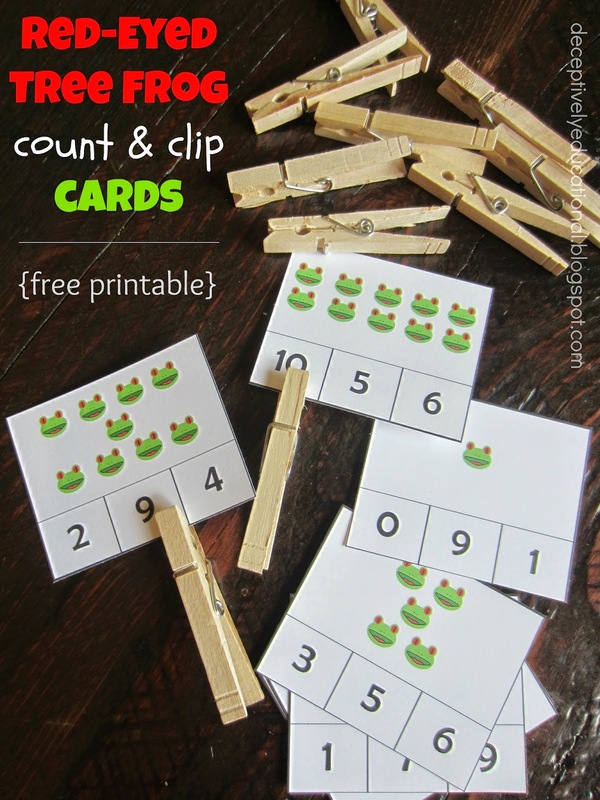 Kids count the red-eyed tree frogs on each card, then using their fine-motor skills, squeeze a clothes pin and close it over the number of frogs represented. Simple. Smart. Fun! 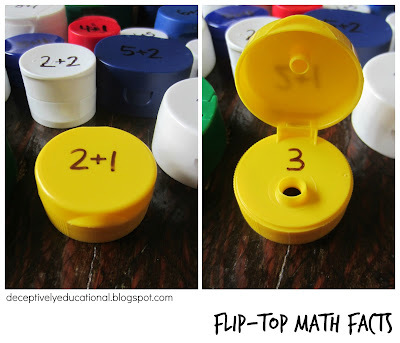 Want to tie in a little science knowledge to this math lesson? Why not read the book Red-Eyed Tree Frog, which teaches kids that these critters are nocturnal, eat moths, and are food for snakes. It's non-fiction that reads like fiction. We loved it! 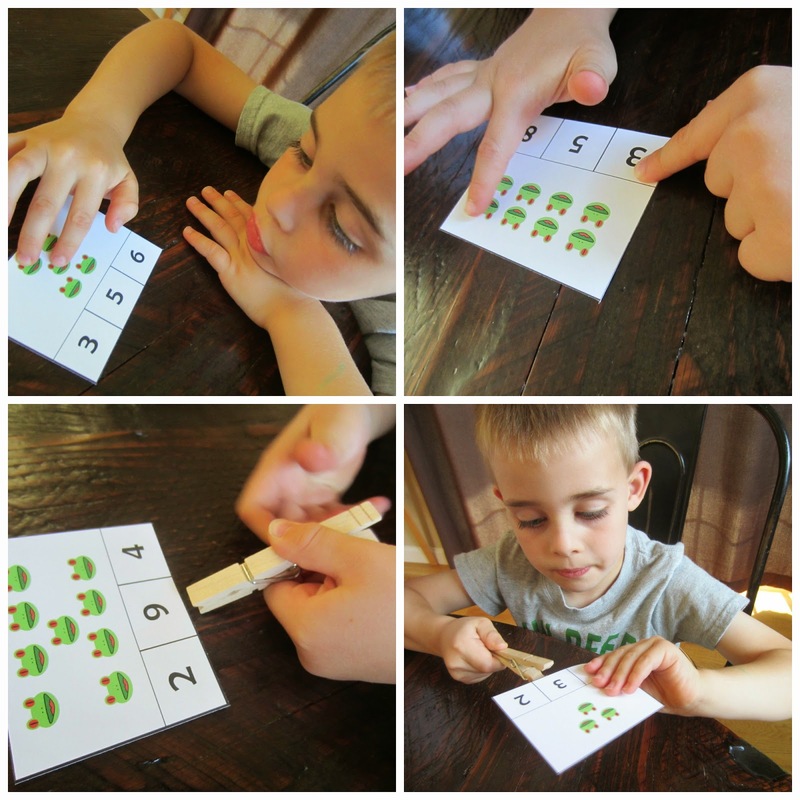 What a great counting activity!